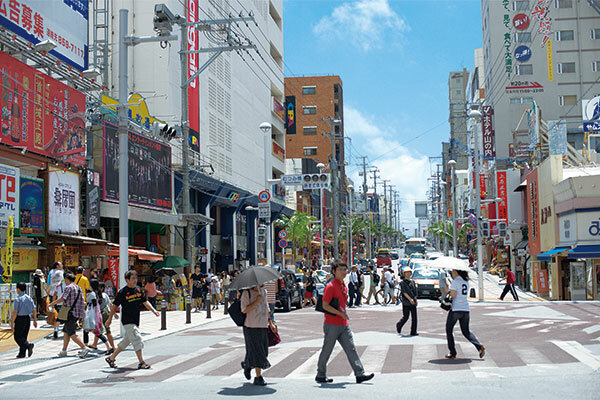 When tourists visit Okinawa, they almost always go to this vibrant, 1.6-kilometer-long street which runs from the Kumoji intersection, where you can find the Prefectural Office and Ryubo, to the Asato intersection. It's easily accessible from the monorail's Makishi, Miebashi and Kencho-mae stations. 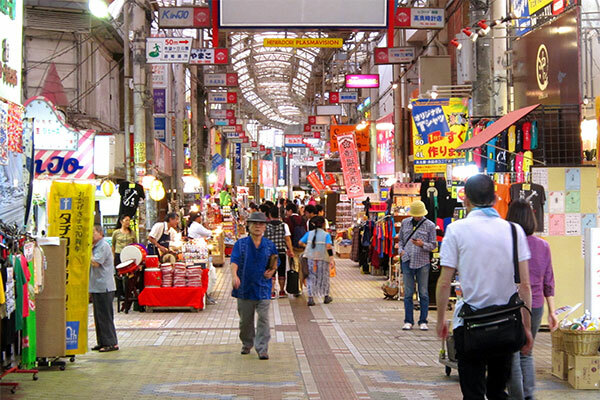 Kokusai Street is home to famous department stores and shopping malls, such as Mitsukoshi, large-scale discount retailer Don Quijote, and numerous souvenir stores, hotels, steakhouses and Okinawan eateries. 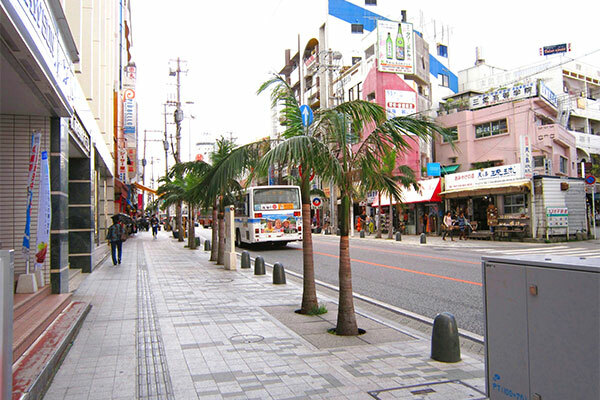 In addition a popular shopping complex, Cargoes, is situated in Saion Square, a new commercial district along Kokusai Street and directly connected to the Makishi monorail station. A popular nightlife spot, there are plenty of clubs, bars, live houses and such nearby. Within easy access of the monorail system, this is a great place to experience Okinawa as you stroll and explore and chat with friendly locals. If you're looking for hands-on crafts workshops around the area, the Naha City Traditional Craft Pavilion is the place to go. Be advised that the roads can be congested during the evening rush hour, and traffic regulations can make the area difficult to navigate. 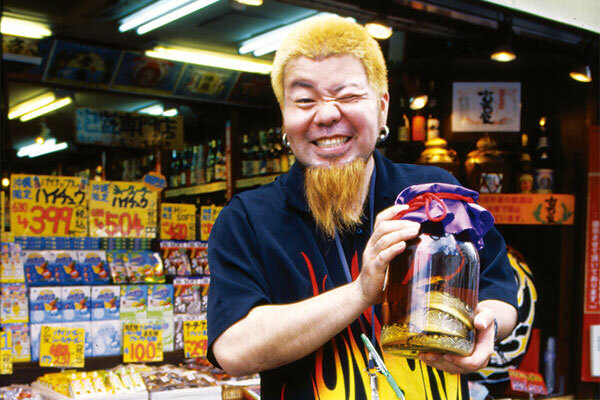 There are a number of interesting streets off Kokusai Street. The arcade leading south from the Mutsumi Bridge intersection near Mitsukoshi gives easy access to the Makishi Public Market, affectionately known as the locals' kitchen, where the first floor is filled with all manner of lobster, fresh fish, meat and local produce. Take your purchase upstairs to the restaurant area and staff there will cook it into a delicious meal for you. 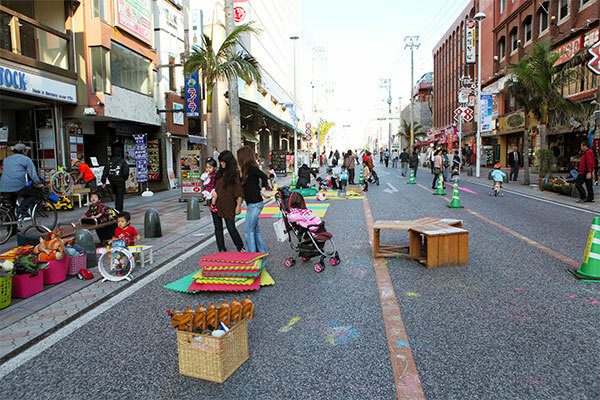 Every Sunday from noon until six in the evening a part of Kokusai Street, between the Kumoji intersection and the Makishi monorail station, measuring 1.3 kilometers, is blocked off to vehicular traffic and open to pedestrians only. This weekly event, called Transit Mall, features special deals at participating stores as well as street performances at 10 designated locations, along with picnic tables provided for seating. (Call 098-921-7593 to reserve performance space.) 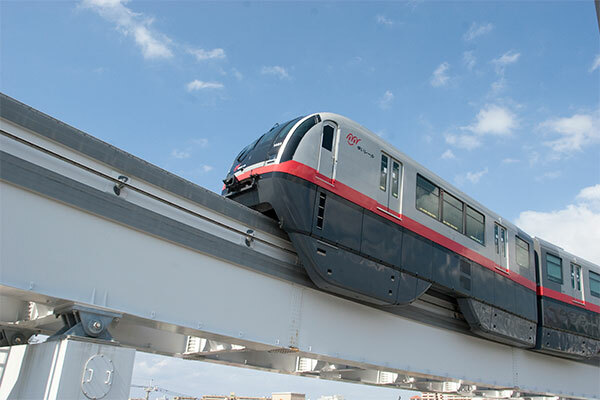 Cars can park in the Shintoshin area and take either the monorail or the Community Bus, which runs between the Omoromachi monorail station and Kokusai Street (220 yen, every 15 minutes). 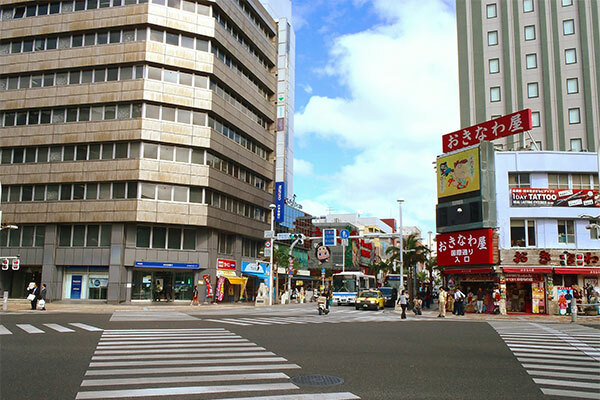 Left: Palette Kumoji, a large commercial complex located at the southern end of Kokusai Street, is one of the street’s landmarks. 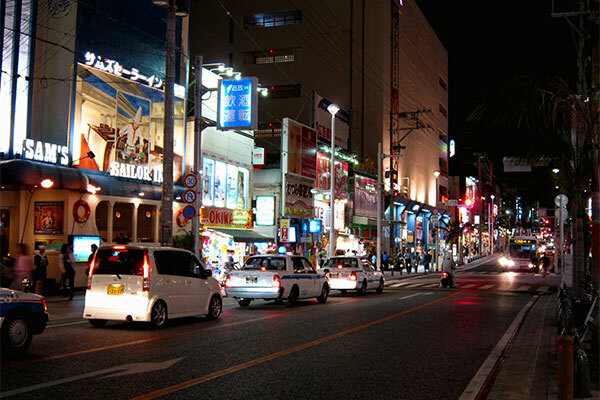 Right: Kokusai Street after dark, filled with tourists eating out, shopping for souvenirs or clubbing until the early morning hours, especially during the peak summer period.